Ryan never stops moving …especially on the soccer field. Posted as part of Alisa’s weekly Travel Theme: Motion. That’s a great picture for the theme! As soon as I saw the soccer jerseys I had to leave a comment! I really like how you blurred it, Lisa. The colors really pop, too. Thanks Andra. 🙂 This was my first attempt at blurring around a subject and am happy it worked. 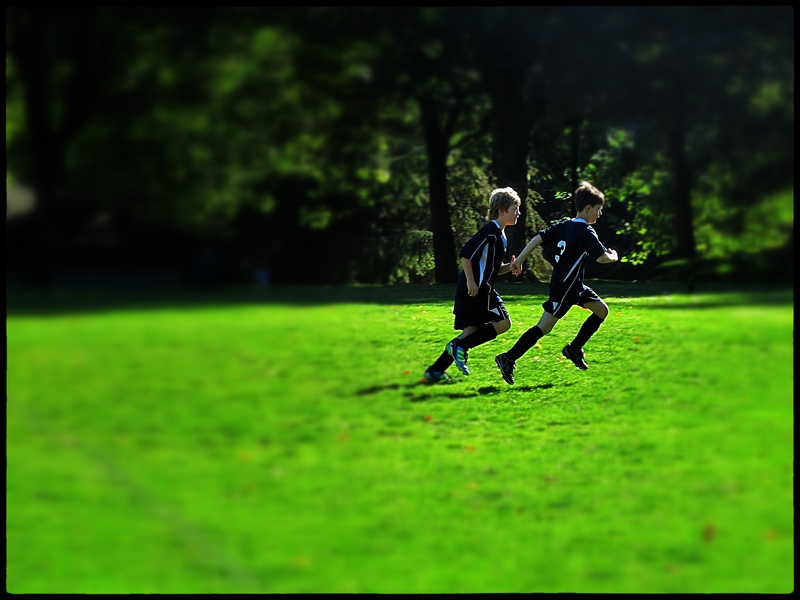 I thought the deep green background would really set off the boys fast feet. Lovely photo of the two in motion! Thanks! It is so much fun to watch the kids run and have fun outside instead of inside with video games.